Got a couple of requests that i should be telling the name of the raga of a song I discuss about. Frankly, I was dreading this. From when I was a child till now thats one thing I haven't been able to do. Maybe it requires a math brain which I dont have. Something to do with my basics also. It got highly screwed up when I was in 5th standard. I last remember that the whole class failed in the annuals and there was a re exam. And we scraped through. Many fell through though. Talking about ragas, Sukumari from Anniyan, seems to be more on Saama, than Suddha Saveri. Since SS has S R M P D S, and we hear a lot of G happening. But it definitely has a the colour of SS. Very contradictory here you might say. But over time a lot of people will agree that its not just the notes that make a raga. Its also their treatment. So just the way you handle a note can make it sound like its something else though grammatically it will belong to one particular scale. This has been my long time aspiration. I know just a little bit about Raagas (thanks to my carnatic music classes for a couple of years), and knowing more about each and every raaga has been on my perennial to-do list! I am wondering if there is any genius out there who can just decode the raagas bases on the tune. I mean a utility ( computer software). I know you are better at music, but I feel that we can apply certain mathematical formulas and using the sound waves can identify the pattern and come up with a raaga. Wondering if something like that already exists.? By the way first time here, thanks to the guy above me ( Twin -Gemini). I appreciate your multi-faceted talent. interesting post.will keep humming kumari and analysing. Hmm these S/W utilities, will surely find a way to 'program' and 'decode' the raagas. But knowing the raagas arent that necessary to appreciate the songs, aint it? too good, for being true. whether you are on top of the raaga or not, you are on top of the songs. hope to hear more of yours.. I love finding out ragas (probably b'coz I happen to get it right many a time!). I've a list of such 'findings' of mine...guess, as they say only continuous listening helps finding the 'connection'. Ur oeuvre seems to be a heady concoction from singing, dancing to psychology!! !...not to mention the time u find to blog/maintain ur website. This a sheer reflection of some gr8 time-management skills of urs. Kudos! Just a request..pl.post a blog on how u manage it, ur inspirations & perspirations. Am sure lazy geeks like me have a lot to learn from u!!! I actually havent heard ur voice. But just know that u r a good singer. It also seems to me that u r very much into the music world. its really like walking on razor edge kind of thing esp when it comes to identify or pinpoint a raga for film songs its all depends on what kind of mood they(MD&DIR) try to bring out so locking down a raga is not easy one for filmy songs unlike a classical number. This song has certainly little shades of Sudha Saveri,Durga and little of Shyama esp in starting of the song. the song 'Kannamoochi' is based majorily on Nattakurunji but inbetween there will be sweet taste of ragam sahana comes through, very tastefully done indeed. Hi Chinmayee, would really appreciate if you could share with us some of your experiences and interesting events that happened when you recorded with the likes of Ilayaraja and Rahman. Also eager to know about your trip to Italy and your thoughts on the song "ennuLLE ennuLLE" which I believe you rendered in the program there. We never get to hear the working methods of music directors from any online sites or magazines. I would like to know more on how a particular tune was conveyed to you and as to whether the music director himself sang and conveyed that tune to you and as to how much freedom for improvisation were you given and so on..This is just a request. Nice, the world is a small place. The last thing i would have guessed, when i started blog-browsing is to land up on Chinmayi's blogs ! 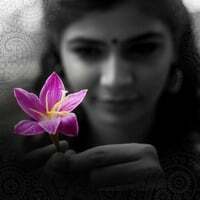 Well it was nice reading ur blogs..ave alwayz luved ur voice.. can u plz clear this doubt of mine,the song noothana from karka kasadara s based on nalinakanthi ?